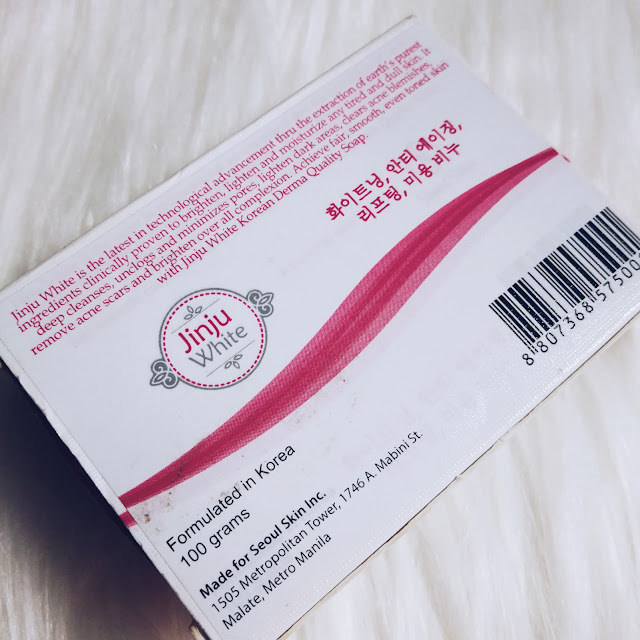 ​Ingredients: Pearl Extract, Salycylic Acid, Glycolic Acid, Camellia Japonica, Flower Extract, Oxalis Triangularis Extract (Love Plant), Camellia Sinesis Leaf Extract (Green Tea), Niacinamide, N-Acetyl-D-Glucosmine, Madecassoside (From Gotu Kota),Morus Alba Bark Extract (Mulberry Extract), Pyrus Malus (Apple) Fruit Extract, Tricholoma Matsutake Extract, Broussoneta Papyrifera Bark Extract (Paper Mulberry). The product is properly boxed in a pink carton with super cool prints. I also like the texture of this soap because it feels heavy and premium. 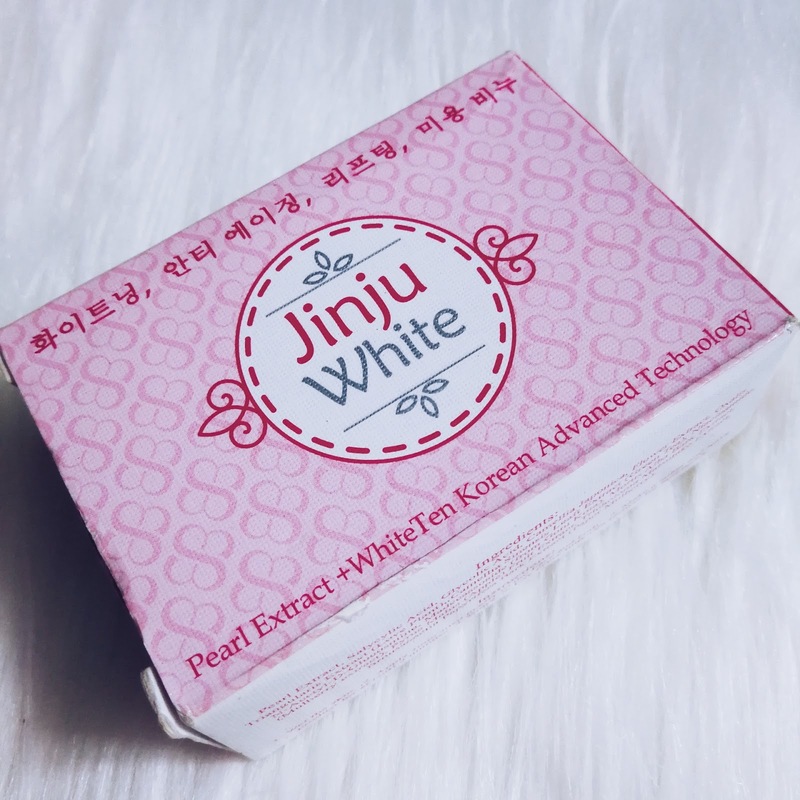 Contrary to its beautiful packaging, the soap itself looks super simple printed with the word "Jinju White". 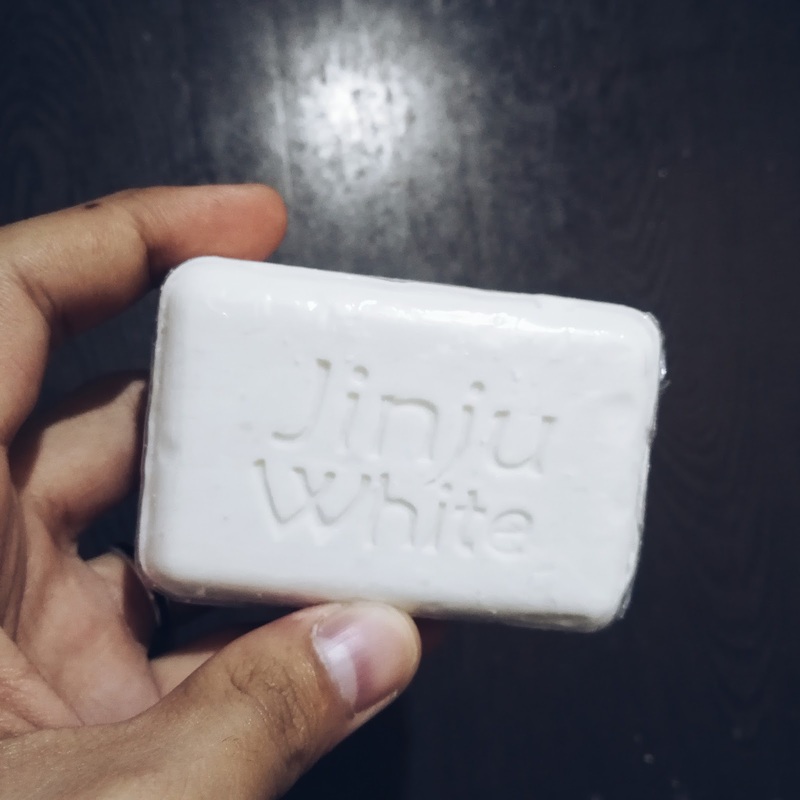 I finished one bar of this soap for almost a month. Yes, the product lasts that long because it doesn't melt easily. With that span of time, I can tell if the product works for me or not. To be honest with you, I didn't see significant improvement on my skin's condition and complexion. I noticed a little glow on my arms and legs though. However, it is not enough for me to say that this product is super worth of our P180. I feel that this product can deliver amazing result in long term use. On a lighter note, I really like the moisturizing effect of this soap. 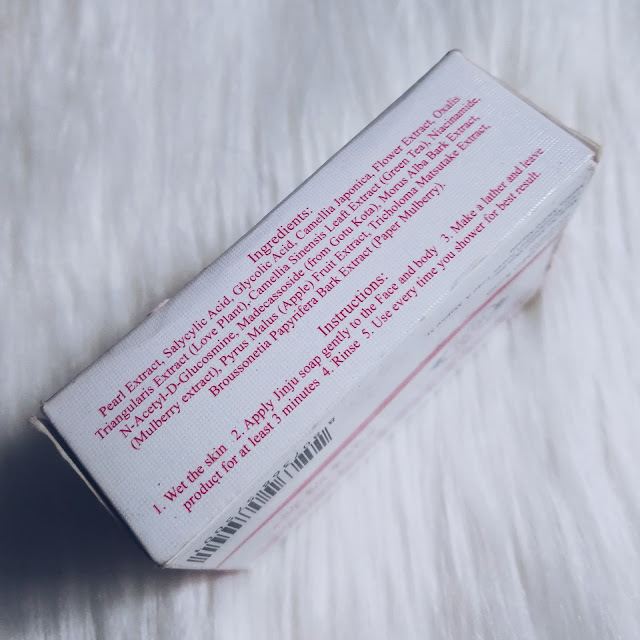 I can actually compare it to Dove beauty bar because my skin feels so soft and bouncy every after use. Another thing that I like about the Jinju White Soap is its fresh smell. The fragrance gives a little boost of happiness whenever I'm using it. I also made a video review for this product. You may watch it on my YouTube channel. Don't forget to subscribe.